BumperFlex™ Tape is a highly resillient flexible polyurethane based tape coated with an aggressive pressure sensitive adhesive. 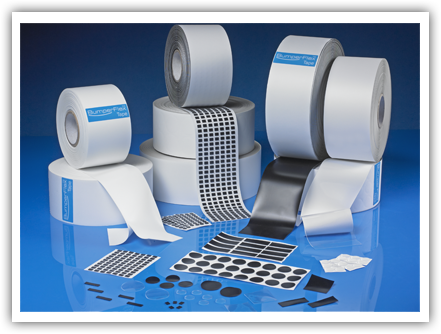 BumperFlex™ Tape protective tapes are supplied on a roll with a thick backing paper suitable for die-cutting into roll form for automated applications. A BumperFlex™ Tape feature is that it's easily die cut into pads, discs, washers, gaskets or to suit almost any job.